Hey guys! Maybe it's the extremely cold weather we've been having or just simply boredom, but I've had sunny skies and warm weather wear on the brain this week. 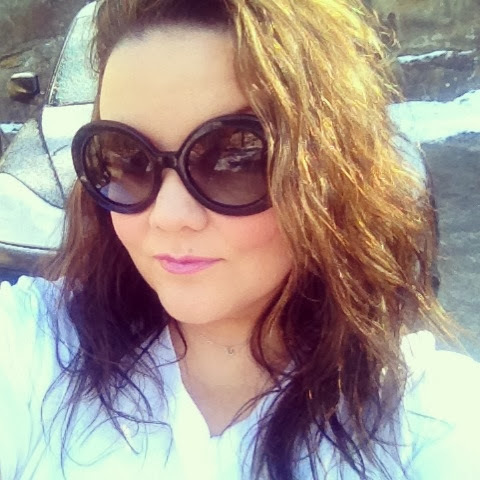 An accessory that I am obsessed with is sunglasses. Always have been. 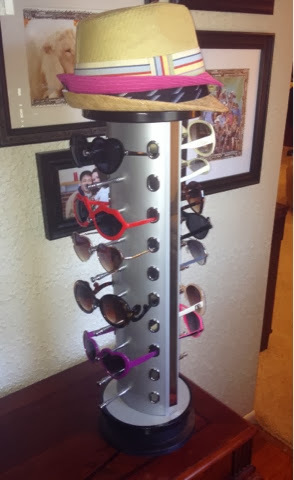 I love everything from classic wayfarers to funky designed weird and wacky ones. They're so fun and yet functional at the same time. I thought I'd show you how I organize mine, and share with you my top 3 favorite pairs. I found this display a couple of years ago from amazon (I think). It is one of the best organization items I have ever purchased. (If you know me at all you are aware of my obsession with organization). 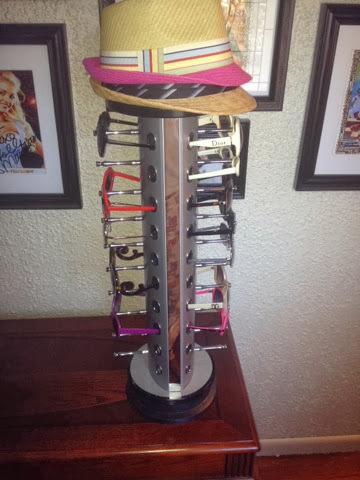 This holder turns so you can easily find and grab whatever pair of glasses you want. It's tall and skinny and takes up hardly any space. It was fairly cheap if I remember correctly...if I had to guess if say $30ish? 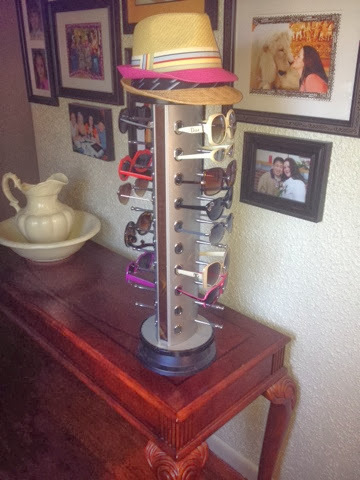 Keep in mind this is not all of my sunglasses. I am horrible for keeping them ALL over the place. I keep 1-2 pairs in my bag. 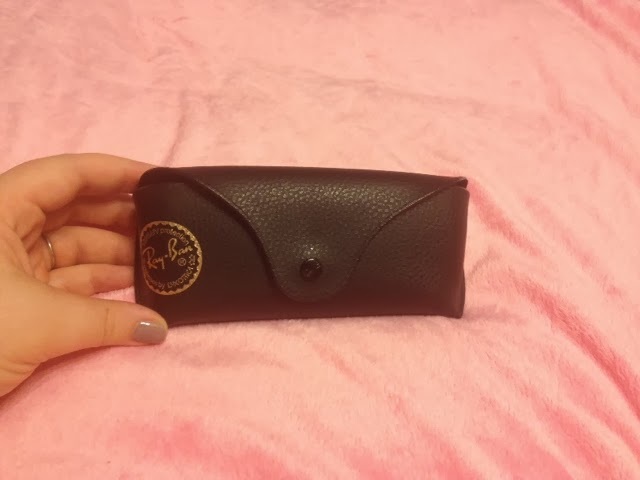 I keep one pair in my sunglass holder in my truck, as well as an additional pair on a viser clip in case anyone riding with me needs a pair. There's also usually a pair or two in my junk basket on the kitchen table, in various drawers and baskets here and there where I've taken off a pair and not put them back where they belong, etc. 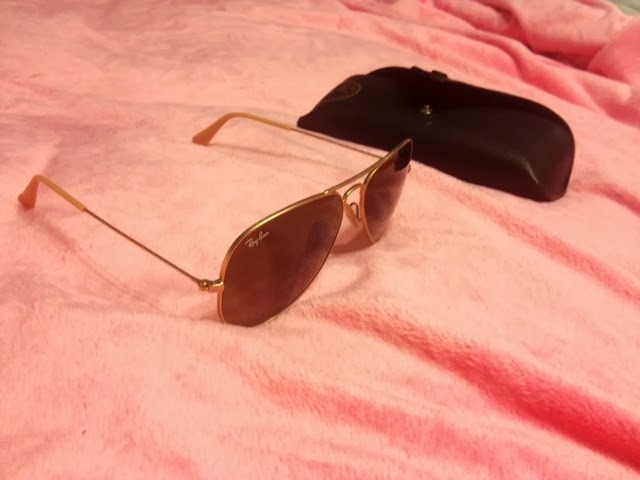 As far as brands go, I have dirt cheap sunglasses and I have fairly expensive sunglasses. I wear them all, whatever I want, wherever I want, whenever I want. I don't baby them or put them away for special occasions. I wear them all the same and love some of my cheap ones just as much as the $$$ ones. Pictured in the organizer there are: Dior, Dolce & Gabbana, Target, Urban Outfitters, Planet Blue, Aeropostale, Amazon, etc. 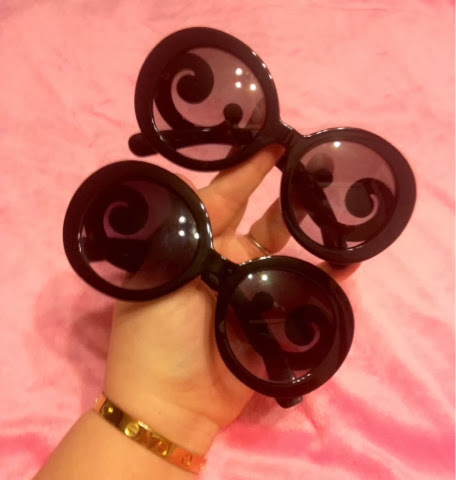 Now I will talk about my favorite 3 pairs of glasses that I own. 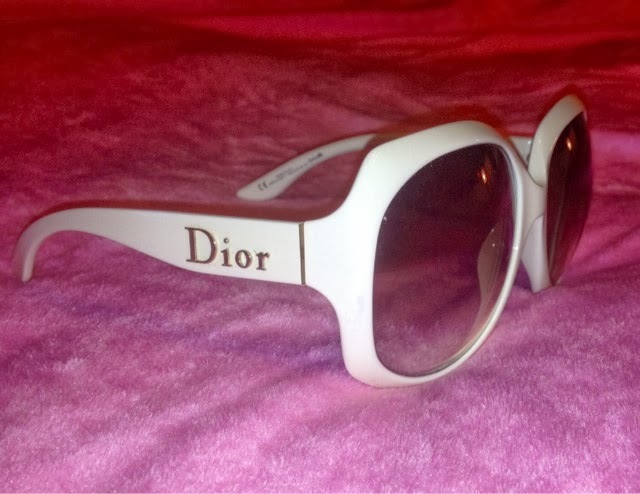 My Dior Glossy 1 glasses. My favorite color for ANYTHING is white. (Clothes, cars, anything). 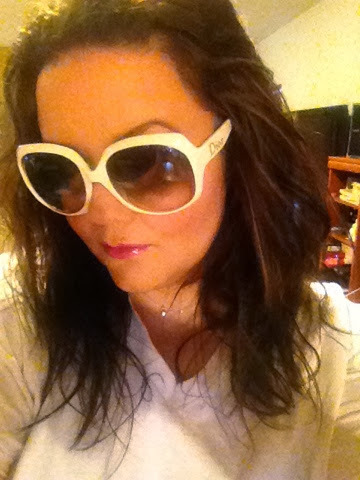 So naturally I am ALWAYS drawn to white glasses. I think they are so chic. These glasses are not a stark white, they are more a creamy white. I bought these probably 10 years ago or so. I've had them FOREVER. 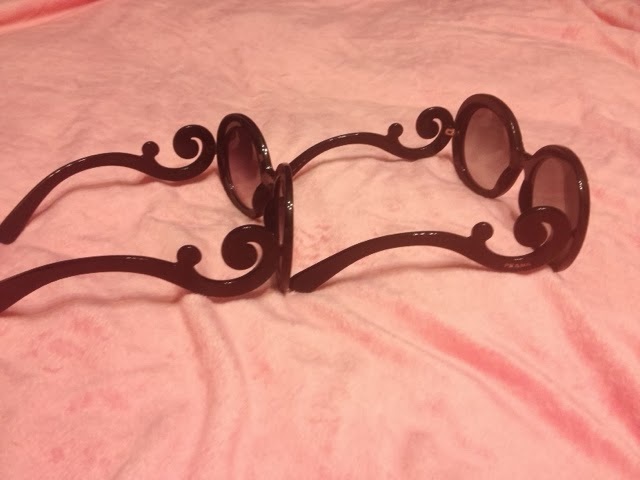 Back when I got them, the only person I had ever seen wearing them was Paris Hilton and I fell in love with them. As time went on lots of celebs wore them, and they ended up coming out with every color under the rainbow. You can find various shades for decent prices nowadays, but good luck finding this creamy color anymore. I looked online to show you guys where you might be able to get them and didn't find them. Back when I got them I remember they were as much as my rent ( which was $500 at the time). You can find these now for about $200 for brown, tan, black, bright white, etc. I know big glasses are not everyone's cup of tea, but I love them. Love, love, love them. Funny fact...I have a turned up pug nose. It's a fairly small nose, with a deep slope, and glasses barely sit on it. They slide down the bridge of my nose all the way to the turned up tip. So, glasses barely hang on my face. Ahh who cares, I sport them anyways! Ha! 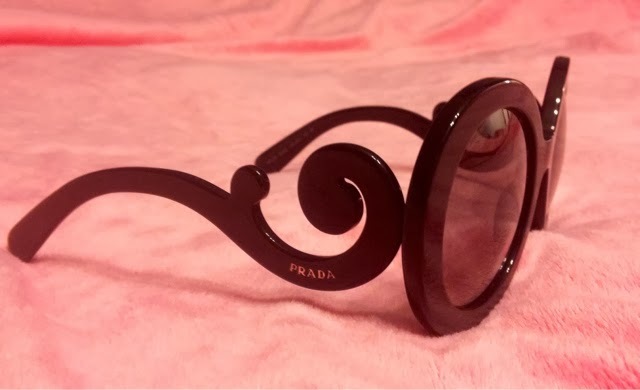 Prada Boroque Glasses. How gorgeous is the scroll on the sides!!! 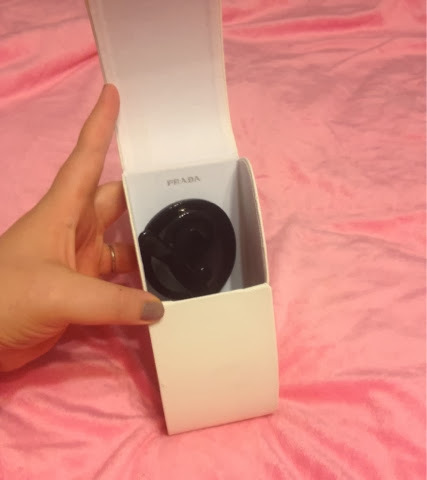 The case is so nice and luxe, with a slight magnetic closure on the lid. Love. The first time I ever spotted these, Shayne Lamas from The Bachelor and Couples Therapy was always wearing them. Big, round, and glamorous. How I love these. However, I found almost exact dupes of these expensive frames on Amazon. I bought my mom a pair and bought myself a pair of black and tortoise. 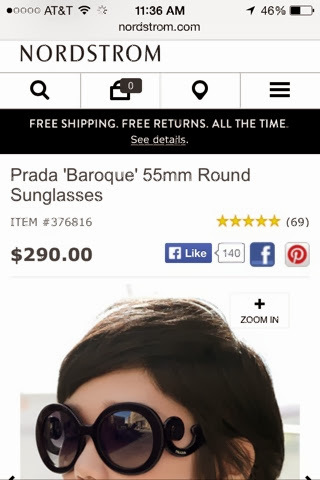 They are made JUST like the Prada ones for a fraction of the price (try less than $10). You can see just how similar. The only difference is the cheap pair doesn't say 'Prada' on them, obviously. And one thing I need to mention. 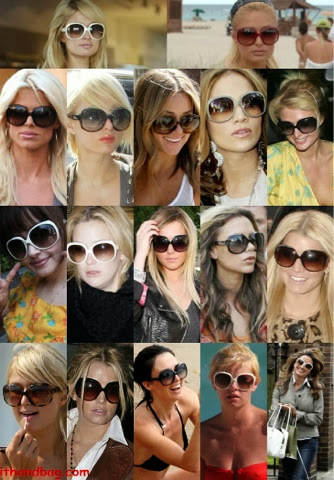 Authentic, expensive plastic sunglasses tend to be heavy and durable. With the whole nose thing I've got going on, that only adds to the whole slipping down off my nose thing. One thing I LOVE about the knockoffs is that they are lighter, which for me, turns out to be a plus that they are cheaper made. They stay up on my nose better. And, if I put them on top of my head they are less likely to slide off. Love that about them. Pictured: black and tortoise knockoffs. 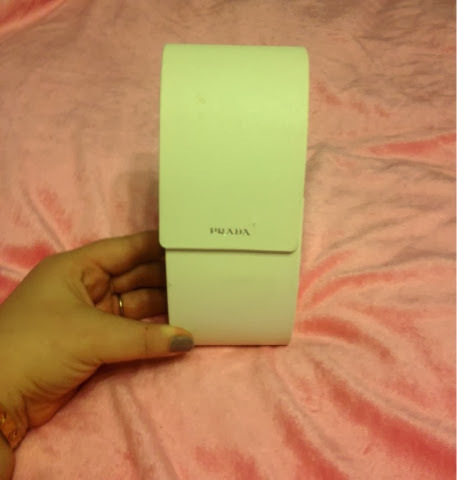 Knockoffs on left, Prada on right. 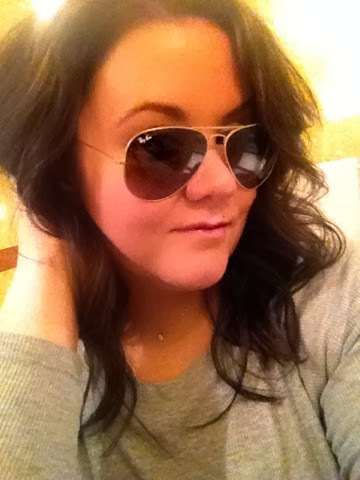 And, of course, my Ray Bans. So classic, so timeless. I've mentioned these before, I got them the last time I was in Vegas. Will forever love these. Alright guys, that pretty much does it for my sunglasses. Let me know what your must-haves are! Ciao!